(NaturalNews) The "organic" label on foods gives people the sense that the food is healthy, tasty and good for them. While it is true that organic foods are grown without the use of chemicals, such as pesticides, unlike foods that are grown with traditional methods, and this fact makes them healthier, even these foods can sometimes give people intestinal problems. For those people who notice that they have the signs of intestinal distress, watching out for the following foods is a good start to getting to the bottom of the issue. This grain has long been the most popular grain used in a variety of foods. Filling, tasty and healthy, wheat can nevertheless cause people who are intolerant to its basic component, gluten, serious intestinal issues. From simply being gluten-intolerant to having celiac disease, gluten causes irritation and inflammation in the intestines of those people who are sensitive to it. Fortunately, these days, there are a number of grains that can be substituted for wheat, including corn, quinoa, buckwheat and more. This staple of childhood can actually lead to digestive issues, even though it does not contain the harmful hormones, antibodies and chemicals that are a cause for concern. Since the milk is almost always pasteurized, almost every trace of the beneficial enzymes and bacteria that are present within it are removed. This makes it much more difficult for humans to digest it. 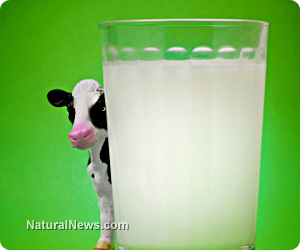 Drinking organic cow's milk that is raw should go a long way toward addressing any digestive issues. Once it became well known that products made with soy were not only safe to eat but also good for the body, it became the darling of the health food industry. This legume also became a staple in the diets of many vegans who were looking for a tasty source of protein. However, research has begun to show that, especially in people who have not grown up eating a soy-rich diet, it can negatively affect the digestive systems of those who are sensitive to it. For many people, this is because the soy they eat is unfermented. Choosing fermented and organic soy products is best for those who are sensitive. Once touted as a great source of protein as well as a healthy alternative to red meat, pork can contain toxins that are difficult for humans to digest. This is typically caused by the animals' diet. Those who are sensitive should try to avoid pork. Unlike most other nuts, peanuts have a porous shell that is soft, allowing contaminants to bind to the nut. One such containment is a fungus that produces aflatoxin, a chemical that causes cancer. Eating peanuts can exacerbate existing fungal problems for some people. Always refrigerate organic peanut butter to minimize the growth of fungi. Making a note of these five organic foods, and their potential intestinal problems, can go a long way to helping sensitive people feel better.